The unsettling oddness was there from the first moment, on March 8, when Malaysia Airlines announced that a plane from Kuala Lumpur bound for Beijing, Flight 370, had disappeared over the South China Sea in the middle of the night. There had been no bad weather, no distress call, no wreckage, no eyewitness accounts of a fireball in the sky—just a plane that said good-bye to one air-traffic controller and, two minutes later, failed to say hello to the next. And the crash, if it was a crash, got stranger from there. My yearlong detour to Planet MH370 began two days later, when I got an email from an editor at Slate asking if I’d write about the incident. I’m a private pilot and science writer, and I wrote about the last big mysterious crash, of Air France 447 in 2009. My story ran on the 12th. The following morning, I was invited to go on CNN. Soon, I was on-air up to six times a day as part of its nonstop MH370 coverage. There was no intro course on how to be a cable-news expert. The Town Car would show up to take me to the studio, I’d sign in with reception, a guest-greeter would take me to makeup, I’d hang out in the greenroom, the sound guy would rig me with a mike and an earpiece, a producer would lead me onto the set, I’d plug in and sit in the seat, a producer would tell me what camera to look at during the introduction, we’d come back from break, the anchor would read the introduction to the story and then ask me a question or maybe two, I’d answer, then we’d go to break, I would unplug, wipe off my makeup, and take the car 43 blocks back uptown. Then a couple of hours later, I’d do it again. I was spending 18 hours a day doing six minutes of talking. I soon realized the germ of every TV-news segment is: “Officials say X.” The validity of the story derives from the authority of the source. The expert, such as myself, is on hand to add dimension or clarity. Truth flowed one way: from the official source, through the anchor, past the expert, and onward into the great sea of viewerdom. 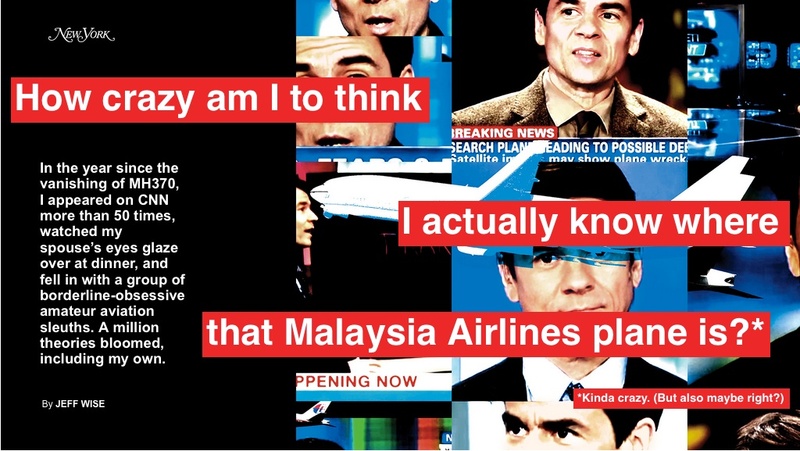 What made MH370 challenging to cover was, first, that the event was unprecedented and technically complex and, second, that the officials were remarkably untrustworthy. For instance, the search started over the South China Sea, naturally enough, but soon after, Malaysia opened up a new search area in the Andaman Sea, 400 miles away. Why? Rumors swirled that military radar had seen the plane pull a 180. The Malaysian government explicitly denied it, but after a week of letting other countries search the South China Sea, the officials admitted that they’d known about the U-turn from day one. Fig. 5. 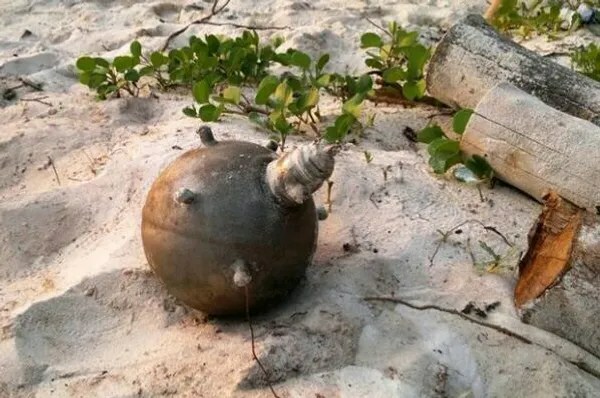 A mysterious metal orb found on a beach in the Maldives became internet-famous and spawned speculation the plane had wound up there. Then: breaking news! 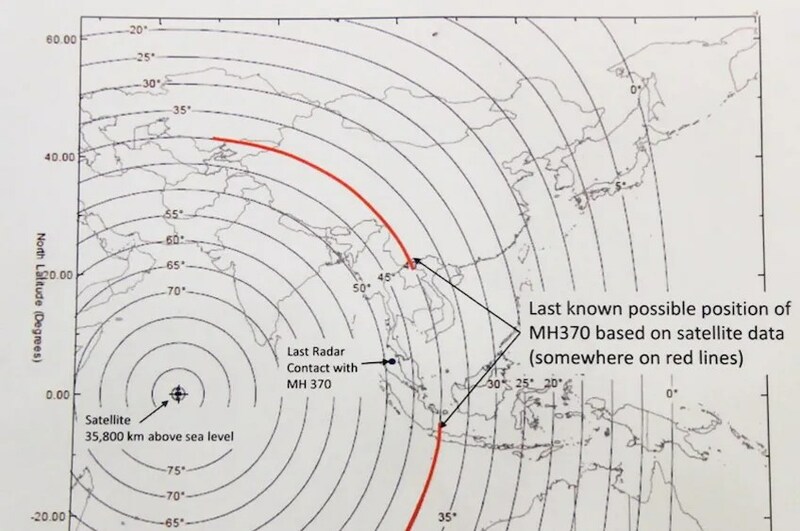 On March 24, the Malaysian prime minister, Najib Razak, announced that a new kind of mathematical analysis proved that the plane had in fact gone south. This new math involved another aspect of the handshakes called the burst frequency offset, or BFO, a measure of changes in the signal’s wavelength, which is partly determined by the relative motion of the airplane and the satellite. That the whole southern arc lay over the Indian Ocean meant that all the passengers and crew would certainly be dead by now. This was the first time in history that the families of missing passengers had been asked to accept that their loved ones were dead because a secret math equation said so. Fig. 7 Not all took it well. In Beijing, outraged next-of-kin marched to the Malaysian Embassy, where they hurled water bottles and faced down paramilitary soldiers in riot gear. Fig. 7. 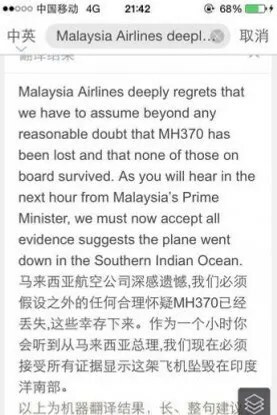 Making matters worse, the Malaysians informed some of the passengers by text message. Guided by Inmarsat’s calculations, Australia, which was coordinating the investigation, moved the search area 685 miles to the northeast, to a 123,000-square-mile patch of ocean west of Perth. Ships and planes found much debris on the surface, provoking a frenzy of BREAKING NEWS banners, but all turned out to be junk. Adding to the drama was a ticking clock. The plane’s two black boxes had an ultrasonic sound beacon that sent out acoustic signals through the water. (Confusingly, these also were referred to as “pings,” though of a completely different nature. These new pings suddenly became the important ones.) If searchers could spot plane debris, they’d be able to figure out where the plane had most likely gone down, then trawl with underwater microphones to listen for the pings. The problem was that the pingers had a battery life of only 30 days. On April 4, with only a few days’ pinger life remaining, an Australian ship lowered a special microphone called a towed pinger locator into the water.Fig. 8 Miraculously, the ship detected four pings. Search officials were jubilant, as was the CNN greenroom. Everyone was ready for an upbeat ending. The only Debbie Downer was me. I pointed out that the pings were at the wrong frequency and too far apart to have been generated by stationary black boxes. For the next two weeks, I was the odd man out on Don Lemon’s six-guest panel blocks, gleefully savaged on-air by my co-experts. Soon after, the story ended the way most news stories do: We just stopped talking about it. 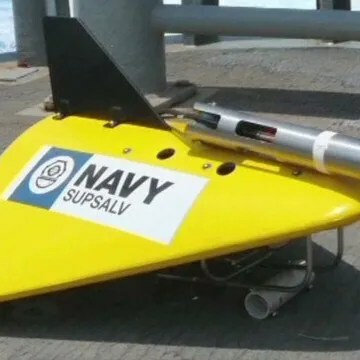 A month later, long after the caravan had moved on, a U.S. Navy officer said publicly that the pings had not come from MH370. The saga fizzled out with as much satisfying closure as the final episode of Lost. Once the surface search was called off, it was the rabble’s turn. In late March, New Zealand–based space scientist Duncan Steel began posting a series of essays on Inmarsat orbital mechanics on his website.Fig. 10 The comments section quickly grew into a busy forum in which technically sophisticated MH370 obsessives answered one another’s questions and pitched ideas. The open platform attracted a varied crew, from the mostly intelligent and often helpful to the deranged and abusive. Eventually, Steel declared that he was sick of all the insults and shut down his comments section. The party migrated over to my blog, jeffwise.net. Fig. 10. It was Steel who very early on realized that the satellite that MH370 was communicating with, 3F-1, was not truly geostationary but wobbled in its orbit, a crucial detail upon which the whole story would turn out to hinge. 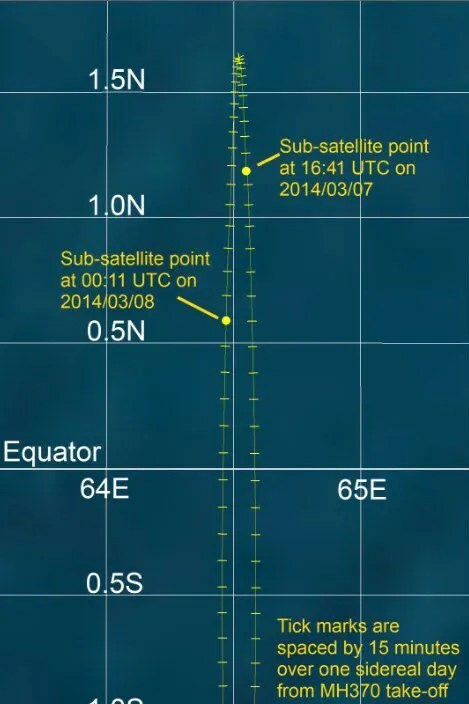 This image shows the path the satellite took during MH370’s final six hours. Meanwhile, a core of engineers and scientists had split off via group email and included me. We called ourselves the Independent Group,11 or IG. If you found yourself wondering how a satellite with geosynchronous orbit responds to a shortage of hydrazine, all you had to do was ask.12 The IG’s first big break came in late May, when the Malaysians finally released the raw Inmarsat data. 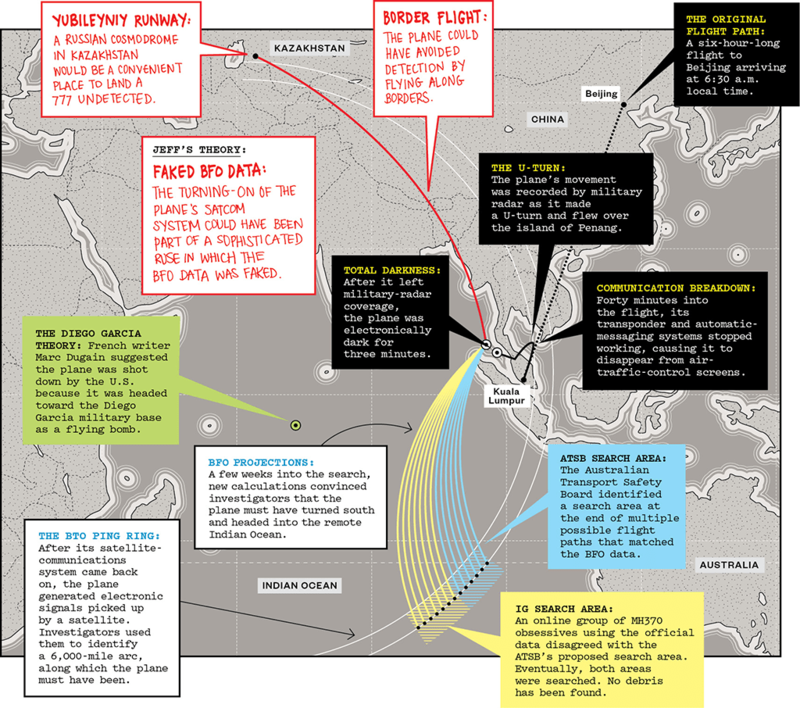 By combining the data with other reliable information, we were able to put together a time line of the plane’s final hours: Forty minutes after the plane took off from Kuala Lumpur, MH370 went electronically dark. For about an hour after that, the plane was tracked on radar following a zigzag course and traveling fast. Then it disappeared from military radar. Three minutes later, the communications system logged back onto the satellite. This was a major revelation. It hadn’t stayed connected, as we’d always assumed. This event corresponded with the first satellite ping. Over the course of the next six hours, the plane generated six more handshakes as it moved away from the satellite. The final handshake wasn’t completed. This led to speculation that MH370 had run out of fuel and lost power, causing the plane to lose its connection to the satellite. An emergency power system would have come on, providing enough electricity for the satcom to start reconnecting before the plane crashed. Where exactly it would have gone down down was still unknown—the speed of the plane, its direction, and how fast it was climbing were all sources of uncertainty. By October, officials from the Australian Transport Safety Board had begun an ambitiously scaled scan of the ocean bottom, and, in a surprising turn, it would include the area suspected by the IG.13 For those who’d been a part of the months-long effort, it was a thrilling denouement. The authorities, perhaps only coincidentally, had landed on the same conclusion as had a bunch of randos from the internet. Now everyone was in agreement about where to look. While jubilation rang through the email threads, I nursed a guilty secret: I wasn’t really in agreement. For one, I was bothered by the lack of plane debris. And then there was the data. To fit both the BTO and BFO data well, the plane would need to have flown slowly, likely in a curving path. But the more plausible autopilot settings and known performance constraints would have kept the plane flying faster and more nearly straight south. I began to suspect that the problem was with the BFO numbers—that they hadn’t been generated in the way we believed.14 If that were the case, perhaps the flight had gone north after all. For a long time, I resisted even considering the possibility that someone might have tampered with the data. That would require an almost inconceivably sophisticated hijack operation, one so complicated and technically demanding that it would almost certainly need state-level backing. This was true conspiracy-theory material. I realized that I already had a clue that hijackers had been in the E/E bay. Remember the satcom system disconnected and then rebooted three minutes after the plane left military radar behind. I spent a great deal of time trying to figure out how a person could physically turn the satcom off and on. The only way, apart from turning off half the entire electrical system, would be to go into the E/E bay and pull three particular circuit breakers. It is a maneuver that only a sophisticated operator would know how to execute, and the only reason I could think for wanting to do this was so that Inmarsat would find the records and misinterpret them. They turned on the satcom in order to provide a false trail of bread crumbs leading away from the plane’s true route. It’s not possible to spoof the BFO data on just any plane. The plane must be of a certain make and model, 17equipped with a certain make and model of satellite-communications equipment,18 and flying a certain kind of route19 in a region covered by a certain kind of Inmarsat satellite.20 If you put all the conditions together, it seemed unlikely that any aircraft would satisfy them. 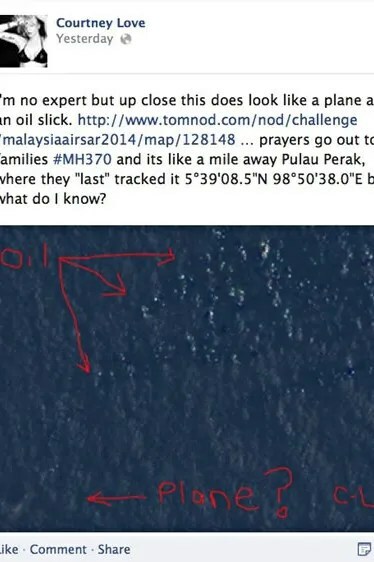 Yet MH370 did. I imagine everyone who comes up with a new theory, even a complicated one, must experience one particularly delicious moment, like a perfect chord change, when disorder gives way to order. This was that moment for me. Once I threw out the troublesome BFO data, all the inexplicable coincidences and mismatched data went away. The answer became wonderfully simple. The plane must have gone north. Using the BTO data set alone, I was able to chart the plane’s speed and general path, which happened to fall along national borders.Fig. 21 Flying along borders, a military navigator told me, is a good way to avoid being spotted on radar. A Russian intelligence plane nearly collided with a Swedish airliner while doing it over the Baltic Sea in December. If I was right, it would have wound up in Kazakhstan, just as search officials recognized early on. Fig. 21. 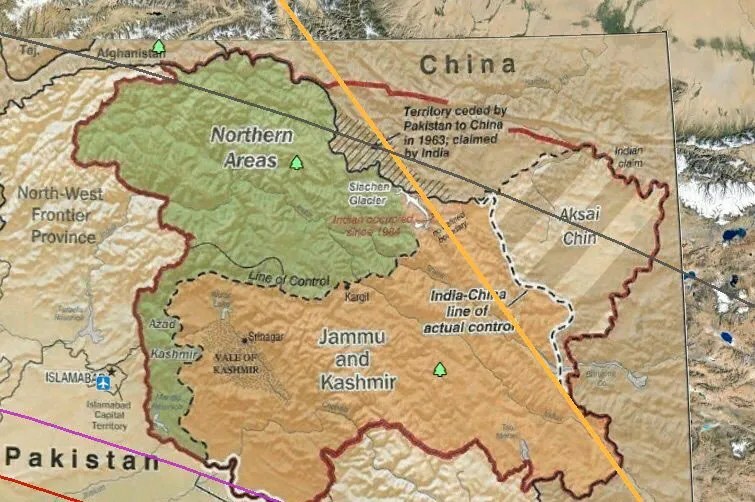 In particular, the flight path skirts the border of China and just misses the disputed and much-watched India-Pakistan border. 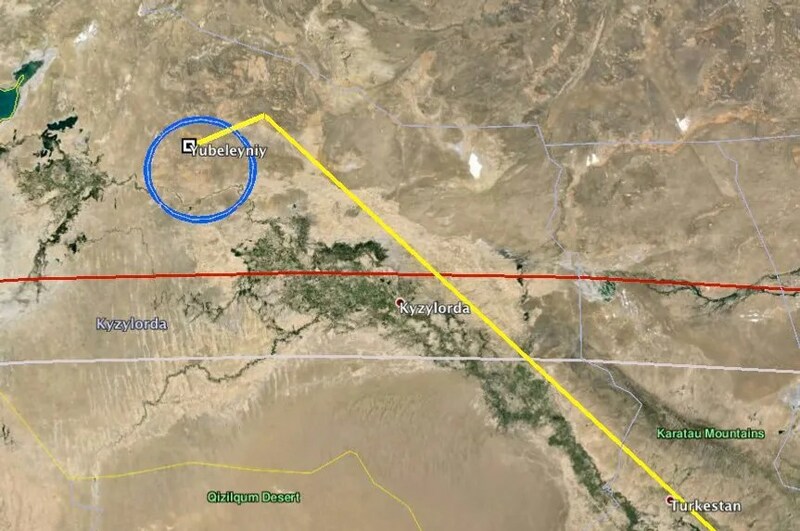 There aren’t a lot of places to land a plane as big as the 777, but, as luck would have it, I found one: a place just past the last handshake ring called Baikonur Cosmodrome.Fig. 22 Baikonur is leased from Kazakhstan by Russia. A long runway there called Yubileyniy was built for a Russian version of the Space Shuttle. If the final Inmarsat ping rang at the start of MH370’s descent, it would have set up nicely for an approach to Yubileyniy’s runway 24. Fig. 23: To the best of my knowledge, this airstrip is the only one in the world built specifically for self-landing airplanes. The 777, which was developed in the ’90s, has the ability to autoland. From a hijacking perspective, this feature allows people who don’t have commercial-piloting experience to abscond with an airplane and get it safely on the ground, so long as they know what autopilot settings to input.If MH370 did land at Yubileyniy, it had 90 minutes to either hide or refuel and takeoff again before the sun rose. Hiding would be hard. This part of Kazakhstan is flat and treeless, and there are no large buildings nearby. 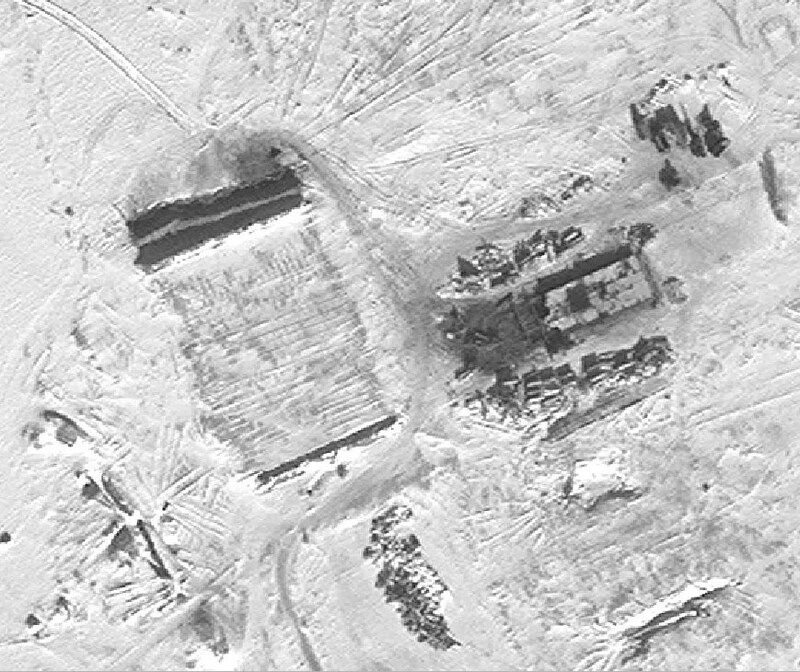 The complex has been slowly crumbling for decades, with satellite images taken years apart showing little change, until, in October, 2013, a disused six-story building began to be dismantled. Next to it appeared a rectangle of bulldozed dirt with a trench at one end. What got my attention was the size of the thing. I’ve added the silhouette of a 777 for scale. Work proceeded deep into the winter. In the four days before the following image was taken on January 9, 2014, the temperature fluctuated between -15F and +14F. By March, the building was gone and everything had been bulldozed flat. 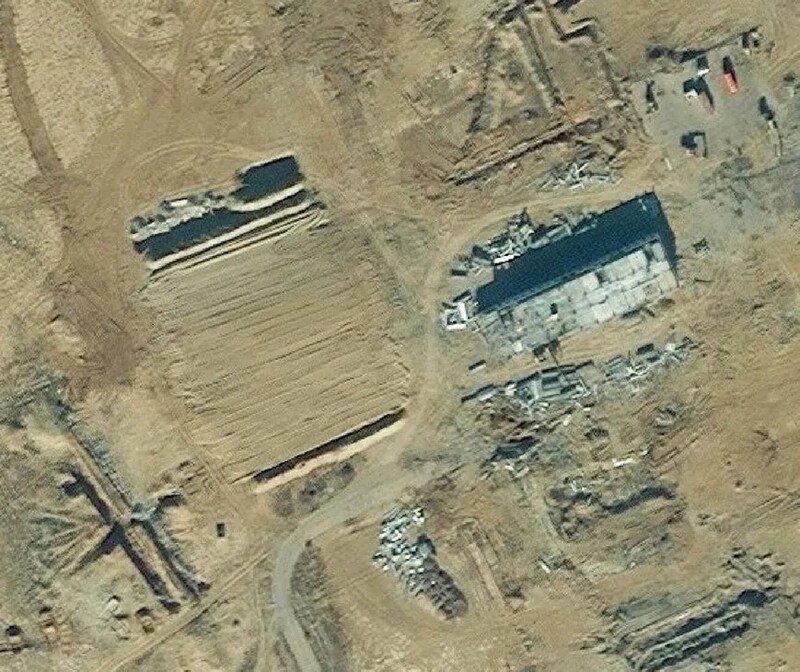 Eight days after MH370 vanished, it looked like this.Construction experts told me these images most likely show site remediation: taking apart a building and burying the debris. 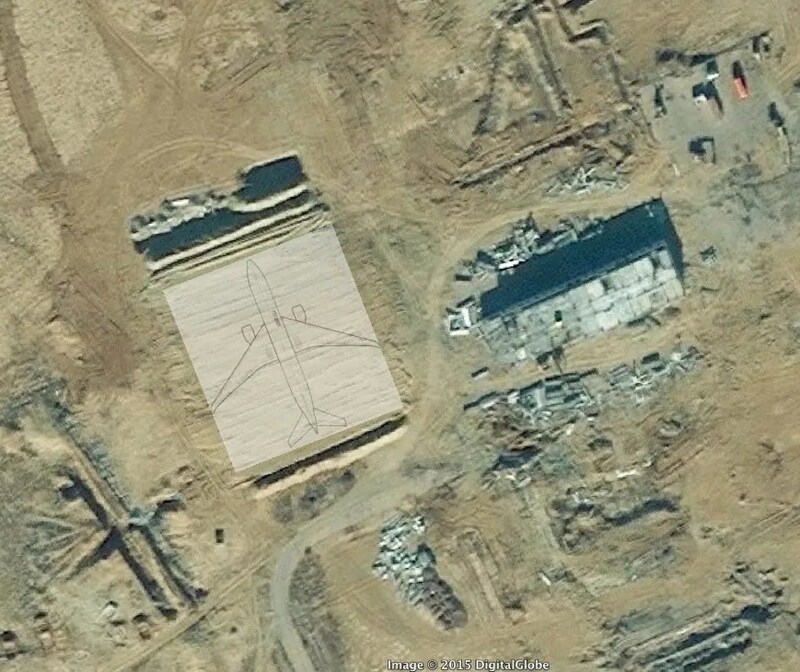 Yet why, after decades, did the Russians suddenly need to clear this one lonely spot, in the heart of a frigid winter, finishing just before MH370 disappeared? Whether the plane went to Baikonur or elsewhere in Kazakhstan, my suspicion fell on Russia. With technically advanced satellite, avionics, and aircraft-manufacturing industries, Russia was a paranoid fantasist’s dream.24 (The Russians, or at least Russian-backed militia, were also suspected in the downing of Malaysia Flight 17 in July.) Why, exactly, would Putin want to steal a Malaysian passenger plane? I had no idea. Maybe he wanted to demonstrate to the United States, which had imposed the first punitive sanctions on Russia the day before, that he could hurt the West and its allies anywhere in the world. Maybe what he was really after were the secrets of one of the plane’s passengers.25 Maybe there was something strategically crucial in the hold. Or maybe he wanted the plane to show up unexpectedly somewhere someday, packed with explosives. There’s no way to know. That’s the thing about MH370 theory-making: It’s hard to come up with a plausible motive for an act that has no apparent beneficiaries. 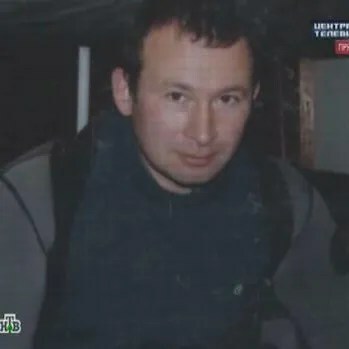 As it happened, there were three ethnically Russian men aboard MH370, two of them Ukrainian-passport holders from Odessa.26 Could any of these men, I wondered, be special forces or covert operatives? As I looked at the few pictures available on the internet, they definitely struck me as the sort who might battle Liam Neeson in midair. Fig. 27. I was later able to confirm that they worked for Nika-Mebel, an Odessa furniture company that sells online only, accepts only cash payment, provides no landline number or address, and had no content on its website before 2013. Both Nika-Mebel and the men’s families refused to talk to me. This picture of the men was posted by a friend on VK.com, the Russian version of Facebook. The more I discovered, the more coherent the story seemed to me.32 I found a peculiar euphoria in thinking about my theory, which I thought about all the time. One of the diagnostic questions used to determine whether you’re an alcoholic is whether your drinking has interfered with your work. By that measure, I definitely had a problem. Once the CNN checks stopped coming, I entered a long period of intense activity that earned me not a cent. 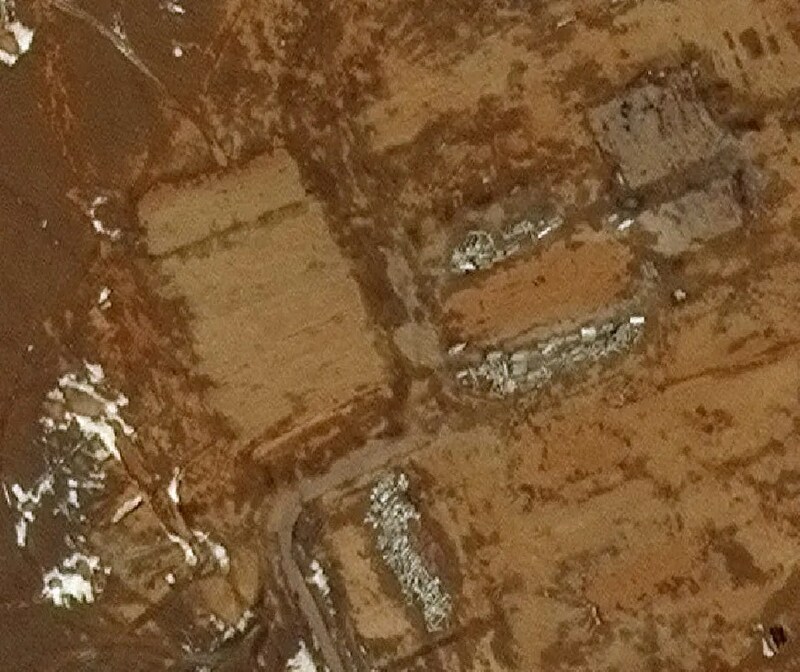 Instead, I was forking out my own money for translators and researchers and satellite photos. And yet I was happy. Fig. 29. 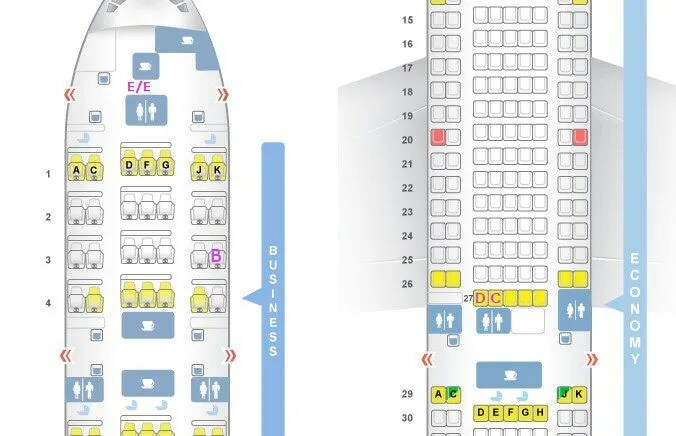 At position B. The Ukrainians were at D and C—underneath the satellite antenna. Still, it occurred to me that, for all the passion I had for my theory, I might be the only person in the world who felt this way. Neurobiologist Robert A. Burton points out in his book On Being Certain that the sensation of being sure about one’s beliefs is an emotional response separate from the processing of those beliefs. It’s something that the brain does subconsciously to protect itself from wasting unnecessary processing power on problems for which you’ve already found a solution that’s good enough. “ ‘That’s right’ is a feeling you get so that you can move on,” Burton told me. It’s a kind of subconscious laziness. Just as it’s harder to go for a run than to plop onto the sofa, it’s harder to reexamine one’s assumptions than it is to embrace certainty. At one end of the spectrum of skeptics are scientists, who by disposition or training resist the easy path; at the other end are conspiracy theorists, who’ll leap effortlessly into the sweet bosom of certainty. So where did that put me? Propounding some new detail of my scenario to my wife over dinner one night, I noticed a certain glassiness in her expression. “You don’t seem entirely convinced,” I suggested. Springtime came to the southern ocean, and search vessels began their methodical cruise along the area jointly identified by the IG and the ATSB, dragging behind it a sonar rig that imaged the seabed in photographic detail. Within the IG, spirits were high. The discovery of the plane would be the triumphant final act of a remarkable underdog story. I got a respectful hearing but no converts among the IG. A few sites wrote summaries of my post. The International Business Times headlined its story “MH370: Russia’s Grand Plan to Provoke World War III, Says Independent Investigator” and linked directly to the Putin part. Somehow, the airing of my theory helped quell my obsession. My gut still tells me I’m right, but my brain knows better than to trust my gut. The search failed to deliver the airplane, but it has accomplished some other things: It occupied several thousand hours of worldwide airtime; it filled my wallet and then drained it; it torpedoed the idea that the application of rationality to plane disasters would inevitably yield ever-safer air travel. And it left behind a faint, lingering itch in the back of my mind, which I believe will quite likely never go away. *This article appears in the February 23, 2015 issue of New York Magazine.